Earlier this week I stopped into my old Alma mater, Ball State University, to have lunch with some friends and explore Christy Woods. 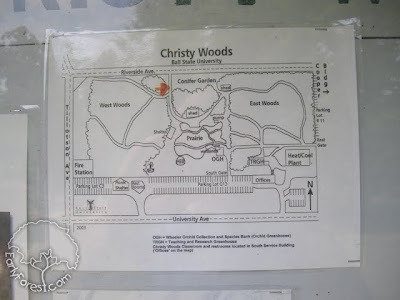 I first visited Christy Woods several years back while taking a freshman course in the Natural Resources department. The 18 acre site, located on the edge of campus, is host to a variety of educational activities and serves as a sort of outdoor classroom. Hesitant to park in any campus parking lots, (thanks to a particularly efficient ticketing team) I chose to park along West Riverside Avenue. 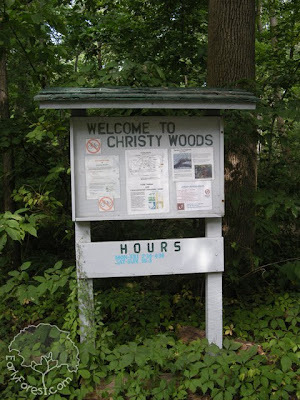 Entrances exist on multiple sides of Christy Woods making it easy to access and pass through. 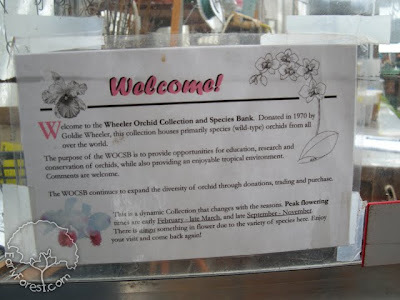 Information boards greet visitors at each entrance and offer some information on the woods. The map above shows the layout of the woods. 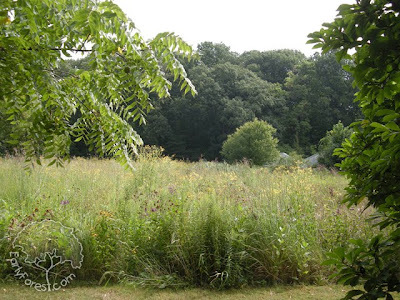 We entered near the orange arrow and progressed south through the Conifer Garden and into the Prairie. 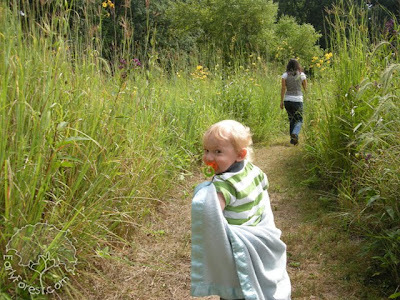 While exploring the pathways through the Prairie it is easy to forget that you are in the middle of the city. 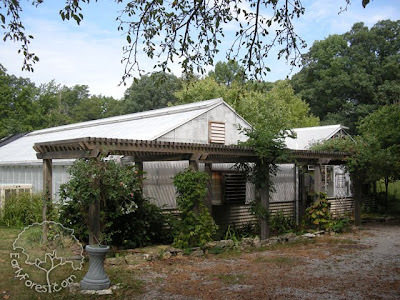 Just south of the Prairie are the green houses that hold the Wheeler Orchid Collection. 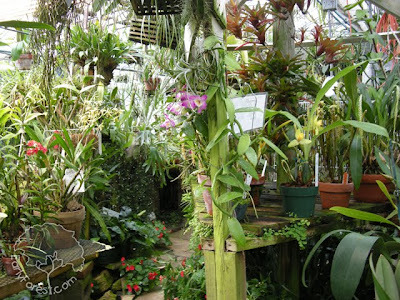 Thousands of Orchids cover every surface of the greenhouse. 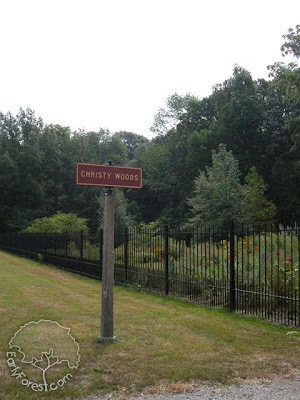 Just outside of the orchid house is the East Woods. 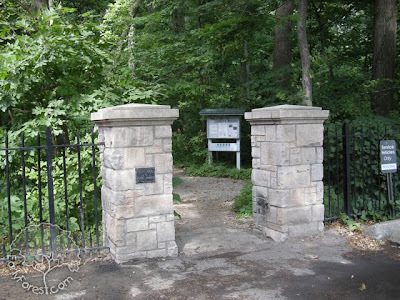 The East Woods trails cut through thick Indiana forest. Watch out for the abundant poison ivy that creeps up to the trail edge. 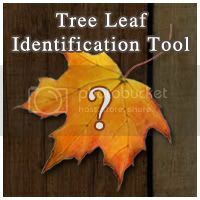 I was disappointed to observe that the trees in Christy Woods are not identified, though it makes sense considering teachers use these trees to quiz students on identification. 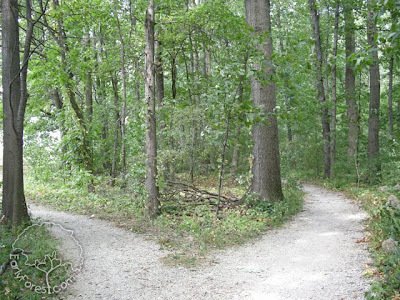 All in all the woods offer students a place to learn about the natural world without leaving campus. It has been a great resource to the University that I hope will remain for generations to come.